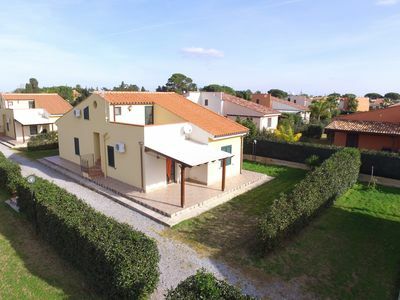 Beautiful owner's villa placed in a quiet and sunny location inside of a small real estate - situated in locality Collesano - on the hills surrounding Cefalù, 60 Km away on the eastern side of Palermo. 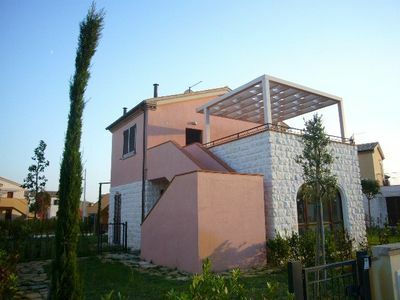 The residence - which has been recently renewed - is composed by 3 comfortable apartments (one of which is occasionally inhabited by the property's owners) and is located on an easy slope enjoying a lovely view to the surrounding countryside characterised by mild hills and to the blue Tyrrhenian Sea in the background. The two lodgings available for the guests have - each one singularly - independent entrance and a large terrace equipped for open-air dinners. 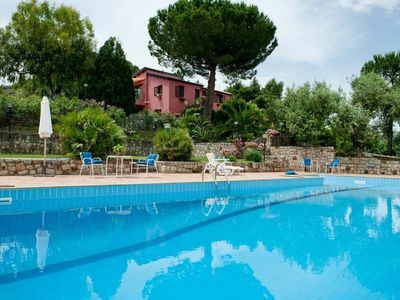 The insides are cosy and well-subdivided, have artisan-brickwork pavements, handicraft-adorned majolica revetments and have been furnished with rustic style furniture, wrought-iron particulars and co-ordinated fabrics. 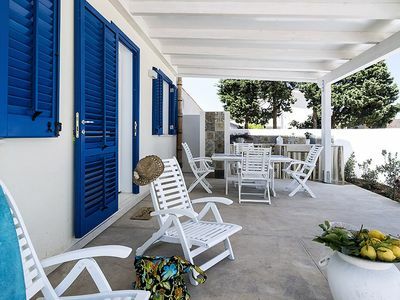 A short narrow path leads to the shared swimming pool and to the wide solarium-terrace equipped with garden furniture (tables, chairs, deck-chairs) and outside shower as well. 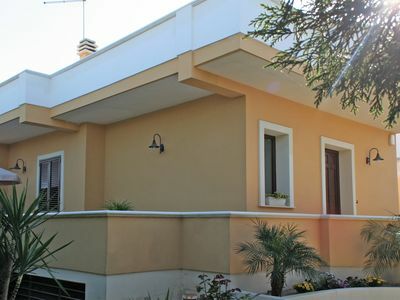 Ground Floor: living/dining room with single sofa-bed, kitchen opening onto the living room, 1 double bedroom with bathroom/shower, 1 twin bedroom, 1 bathroom with shower. 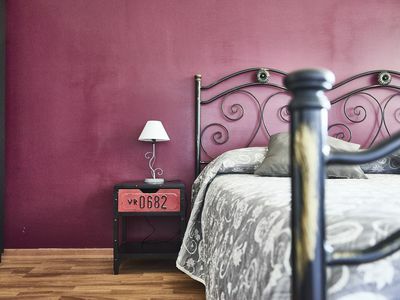 Services included: final cleaning, bed linen and towels, water, gas and electricity consumptions. 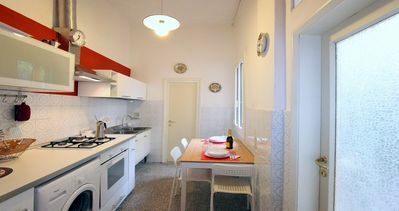 Extra services (to pay on the spot): safety deposit euro 200 in cash, air conditioning, heating. 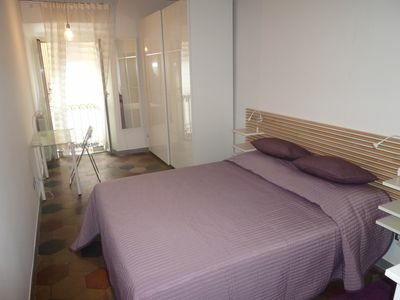 Rome: COMFORTABLE AND CHEAP APARTMENT CLOSE TO METRO B.